I have written a handful of articles about student evals and how they can impact things such as contract renewal and bonuses. Below is a compilation to the various articles I wrote as well as other ones online. There are many, many problems with student evals. One problem is that students aren't customers even though they may think they own you because of the high cost of tuition. Here are a few more problems. Lastly, here's what teachers think about student evals. Student evals affect contract renewal and this means teachers might do anything they can to increase their evals, including being a dancing monkey. Sometime you get punished if students don't evaluate you. An easy way to make sure they do is to do the evaluations during mid-term or final exams. What should the standard be for evaluation? Make sure the evals are reliable and valid. Or better yet, stop evaluating and start mentoring.The admin should be supporting teachers. Teachers don't get a break. They are always being evaluated. Here are 4 different ways teachers are evaluated. 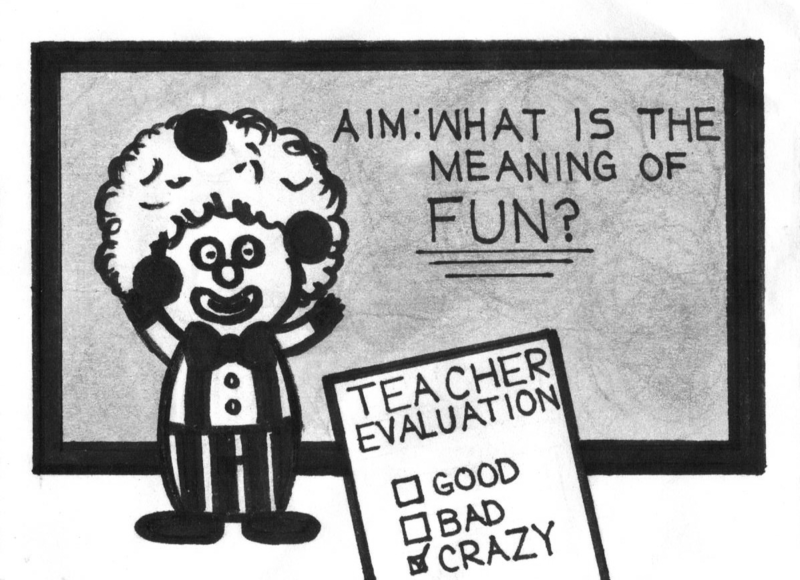 Since the admin evaluates teachers, then have teachers evaluate the admin. It would be a great way to get rid of some of the horrible administrators sitting around. Having teachers do self-evaluations can also be useful. Let students use cell phones. Don't tell students their grades.